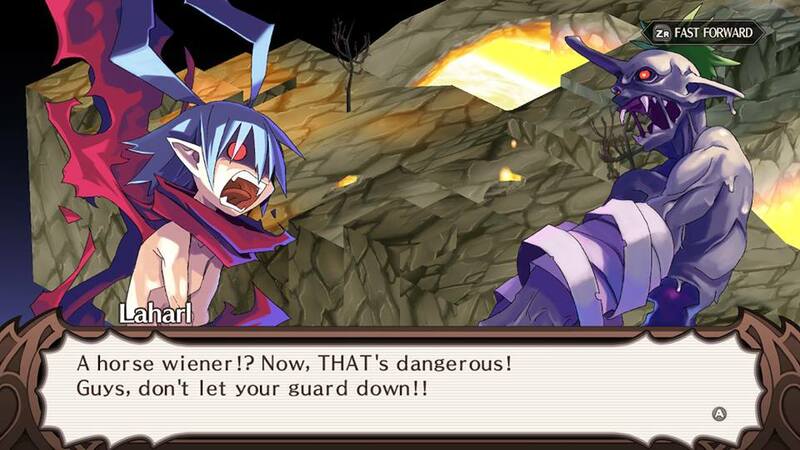 It’s been quite a while since I first played Disgaea: Hour of Darkness. I actually ended up playing Disgaea 2 first, since I reviewed it for the site way back in 2013. 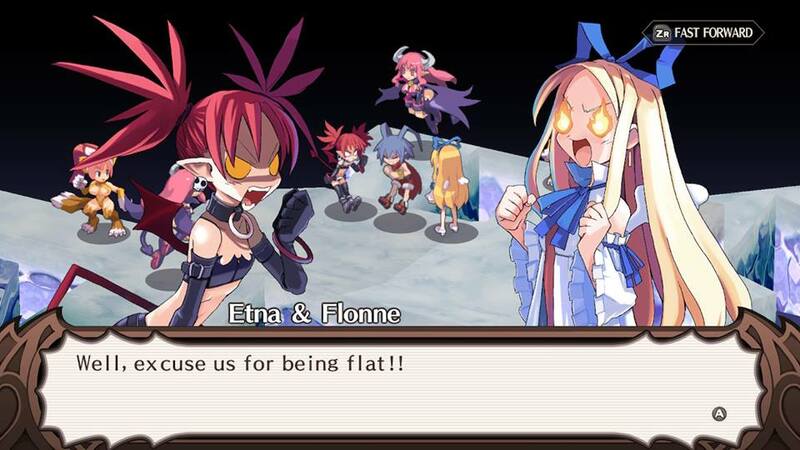 I was completely hooked on the series after that and have loved every entry since, but the cast from the first Disgaea and Disgaea D2 are my favorites. Naturally, I jumped all over the chance to review Disgaea 1 Complete when given the opportunity. Let’s see if I can fall in love all over again! The story begins as the Overlord of the Netherworld has died. King Krichevskoy was a mighty ruler, and news of his untimely demise spread throughout the Netherworld quickly. Demons came quickly to take over rule of the Netherworld, and this caused a period of disorder. After a two year nap the Overlord’s son, Laharl, awakes, unaware of what has happened. He ventures out to set the demons straight and show them who is the rightful heir to the throne! The story here is just as amazing as it was when I first played this one. I may be a bit biased here since this my favorite cast in the franchise, but I had a fantastic time going through this again. This is some of NISA’s best writing, in my opinion. The jokes are witty, the characters have a ton of personality and the weapon descriptions are just simply fantastic. 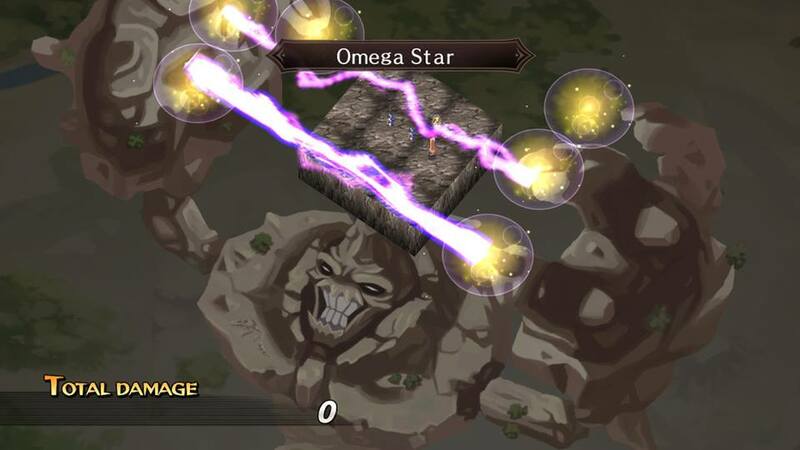 The graphics of Disgaea 1 Complete have been remastered based off of the sprites used in Disgaea: Hour of Darkness, and I’m happy to report they have never looked better. The new sprites look very crisp and the animation is silky smooth. You will also notice all of the character sprites have a lot more detail as well. There are no frame rate dips here at all. The game runs silky smooth docked or in handheld mode, and looks great on both the Switch screen and the TV. The music in the Disgaea series has always stood out. These tracks range from whimsical themes for the lighter moments to some very emotional vocal tracks. This was the game that set this standard going forward and I enjoyed all these tracks today just as much as I did many years ago. The game has both English and Japanese voices, but I stuck with the dub for this one. They have really done an amazing job bringing these characters to life and I just cannot hear them any other way. It reminded me of how much I miss the old Prinny voice for sure, Dood! 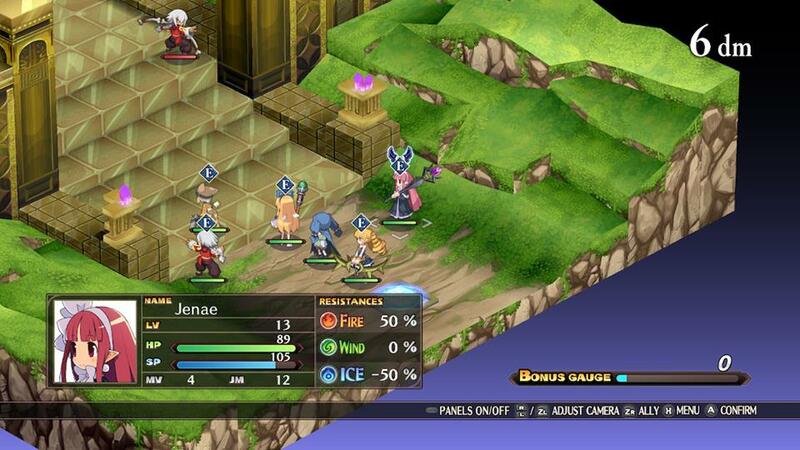 Disgaea is a grid based strategy game, but the gameplay here is pretty deep. 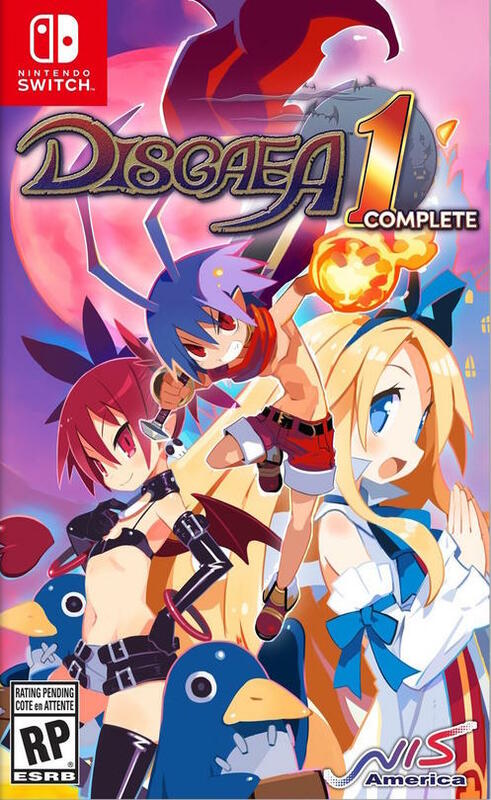 I will cover the basics in this review, but you can look back at my review for Disgaea 2 if you want a more in depth explanation. First off, you will select a level from the Dimensional Gate. Each chapter will contain so many stages that will unlock as you complete the previous one. Each map will start with you on your home panel. From here, you can dispatch your units into combat. You will place each unit on the field and issue them commands. You can do this one command at a time or do a whole batch of them at once. The more hits you do in a row, the bigger your bonus gauge will grow, granting some nice end stage bonus items. Each map will end when you have defeated all the enemies. Disgaea 1 Complete wouldn’t be much fun if it were just moving around on the map and killing monsters. 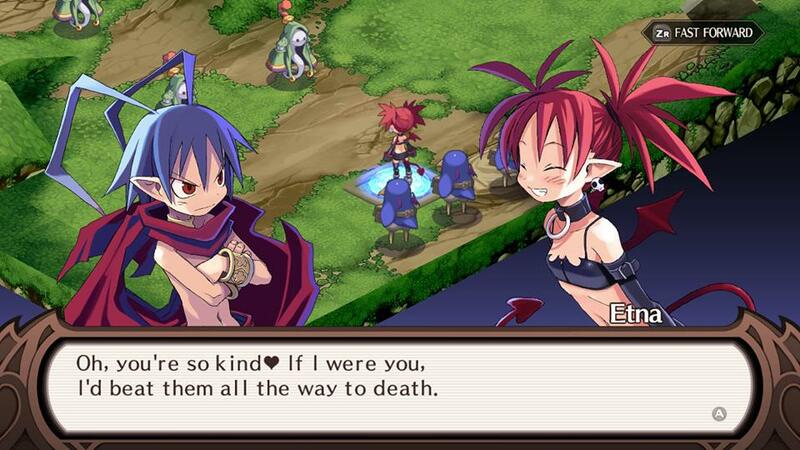 Disgaea offers much more than that. First off are the Geo Panels, these really mix up the action on each map. You will notice the floor panels glowing certain colors. If a Geo Symbol is placed on a colored square, every square of that color will gain its effect. Let’s say you put a no lifting symbol on a red panel, this makes every red panel on the map a no lifting panel. If you destroy a Geo Symbol, it will turn all of the Geo Panels into the color of the symbol you destroyed. This is unless the color already matches, then nothing happens. This will damage everything on those squares. If this destruction hits another Geo Symbol, it will change all of the Geo Panels into that color afterwards. This can create some massive chains and fill up a bonus gauge quickly. This can make the randomness of the Item World even crazier as well. What is the Item World you ask? Well, this is a set of randomly generated maps that you can use any item to access. Each item will have Specialists in them and slaying them will grant your items some bonus stats. You can also move any Specialist you have subdued from one item to another. This means you can build up the stats of your favorite equipment to God-like levels. There are few things to consider before jumping into this though. You will have to complete at least 10 floors in order to escape back to the castle, unless you have a Mr. Gency on hand. You also need to keep in mind that if it says the enemy level of the item is 7+, this doesn’t mean they stay at level 7. It means they start at that, and they could be 20 or better by the time you hit the 10th floor. Once you exit back to the castle, the item will gain a level for each floor you completed, boosting its stats. Another important factor in this game is the Netherworld Assembly. This is where you create characters, unlock better items, raise or lower enemy levels and more. Creating characters will consume mana which is earned by simply defeating foes in battle. The more mana you spent, the better the character is starting out. You will start out with the basic class of companion, and more will unlock as you gain levels with them. It’s a bit of pain here to upgrade a character class since you will have to start them back over at level 1. This isn’t as big a deal as it seems since there are plenty of good maps to grind on and you can raise the enemy levels to make it faster, but it does take some time. It really makes me miss the Cheat Shop found in the later games where you can raise and lower the levels without the Senate. Yeah, just like in real life it’s a fight to get anything done, and you’ll need some bribes. I mean, if all else fails, you can beat them into submission, but be sure to check their levels before doing so. That level 300 dragon will be no joke. This is some of the basic gameplay elements of Disgaea 1 Complete. This may seem a bit overwhelming to newcomers, but if you do the tutorials, you will be slaying your foes and making insane equipment in no time flat. If you enjoyed the original, I think this is well worth the upgrade for the new graphics and the fact that it includes all of the bonus content from the PSP version of the game. Etna mode is just freaking great! The fact that it is portable is just icing on an already delicious cake. It took me around 53 hours to complete the main story, but there are probably another 100 more if I want to do everything, making it well worth the $49.99 price tag. If you’ve been looking for a place to jump into the series, there’s no better place to start than here. It sets an example of how great strategy games could be. While it may not have all the bells and whistles of the newer entries, it’s still pure gold!